Got it! After a few days of cloud, the skies cleared perfectly tonight for our first look at Comet PANSTARRS. This is the comet on March 10, the day it rounded the Sun at perihelion, its closest point to the Sun. The comet, which came from the Oort Cloud, is now on its way back to where it came from. 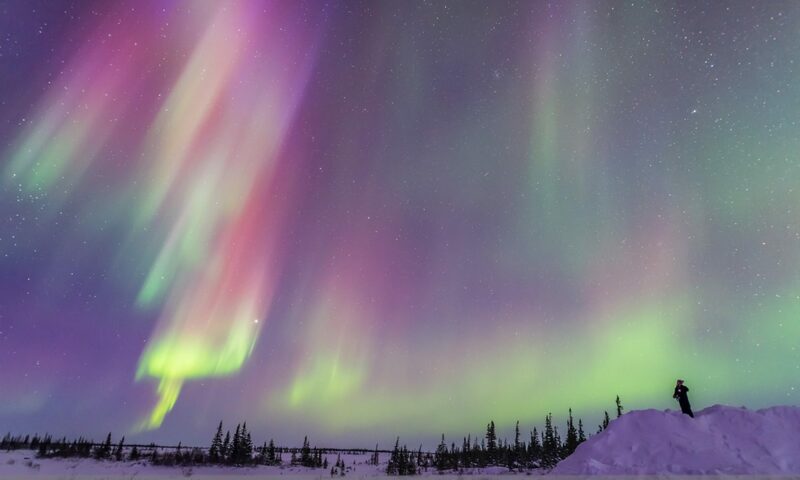 But for the next few days, it will be at its best in our evening sky in the northern hemisphere. Friends down under in the southern hemisphere have been enjoying views of the comet for the last two weeks, but the comet has now moved far enough north it has entered our northern hemisphere skies. The view is actually best from higher latitudes but I’m here at latitude 31° N, in southwestern New Mexico, seeking the clearest skies for the comet. We got them tonight. 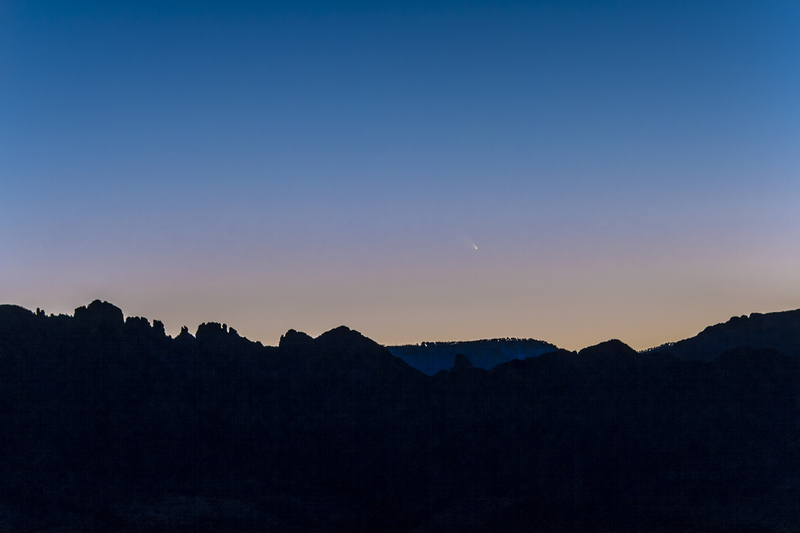 This view is of the comet about 7° up, just above the rim of the Chiricahua Mountains to the west of us, in Arizona. The comet will climb higher over the next few days, with a prime night on March 12 when the waxing Moon appears near the comet.